Hidden Valley Lake main entrance to L on Alpine, L on Bellemeade, R on Fieldcrest. Sign on. 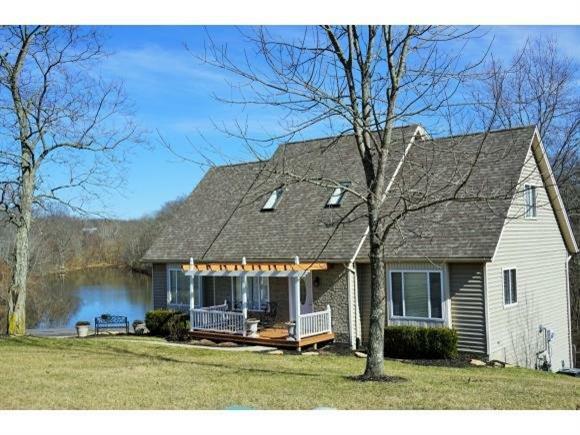 Wonderful Opportunity to purchase an updated home w/views of Woods & Kathy Lake on 1 1/2 lots-Private Setting! Open Flr plan, new flooring thru-out, updated kitchen w/granite, stainless appliances & walls of windows overlooking nature. 1st flr Master bed w/adj BA & 2 closets. Updated front deck, back deck & patio. Fenced yard. Finished walkout LL. NOTE: This property was sold on 3/28/2017 and is no longer available. The details listed below are believed accurate to the date of the sale and are subject to change.